Turn on your sound and please feel free to stay as long as you like. Thought Hopper 3000 is still in development, please subscribe to the newsletter to receive an update once in a while. Thanks for visiting Thought Hopper 3000, an online destination for a 5 minute vacation. This is the very first demo version of an ongoing and hopefully ever expanding interactive project made by Dutch visual artist Vera van Wolferen. This project adds another dimension to her paper universe, now you can visit her wonderful creations and play with them. 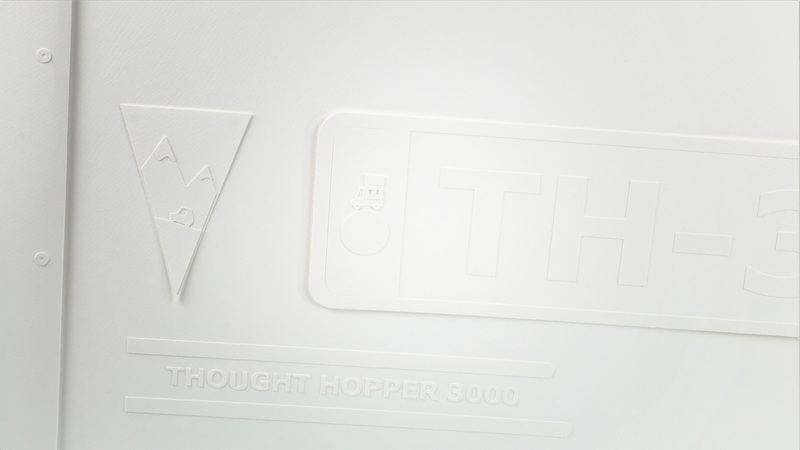 The Thought Hopper 3000 scenes are entirely made out of paper and stop-motion animated by Raymon Wittenberg. The enchanting sounds are made by Flavia Faas. Interaction design, graphics and programming where done by Floris Douma. This project has been supported by Playgrounds Festival and has been realized within their Playgrounds Next programme. Receive updates on the project by adding yourself to mailing list. Follow Vera's work on her website, on Facebook or on Instagram, and if you like to see more work like this in the future, please don't hesitate to buy anything from the Story objects store (highly appreciated). Thought Hopper 3000 uses Google Analytics (and its cookie) to anonymously track which 'hotspots' are found or not by its visitors, only to be able to optimize the application.